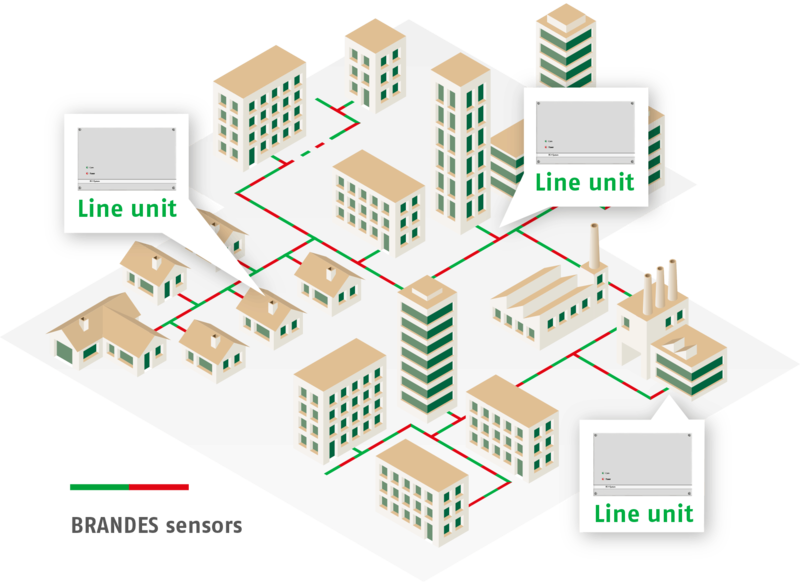 Monitoring a district heat network with more than 100 km of pipework. All information is available centrally on the status display. Damage to pipework with BRANDES sensors is detected at an early stage, and can be located and repaired. 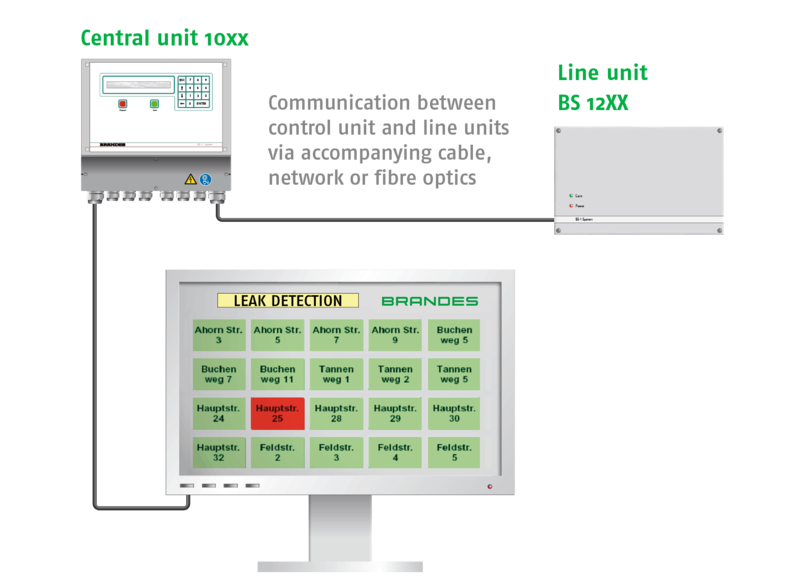 Networks covered in copper sensors enable centralised monitoring.